Here’s the good news: this believing stuff isn’t just reserved just for me. It’s available to you as well. You too can have anything you want in your life as long as you practice believing. In fact, the results we all have in our lives right now are a reflection of past thoughts and beliefs. If we like the results we have, I suspect those results are driven by actions that stem from positive thoughts and beliefs. If we have less than stellar results, then the same is true: less than stellar thoughts and beliefs. My hope today is that you take a look at your beliefs. 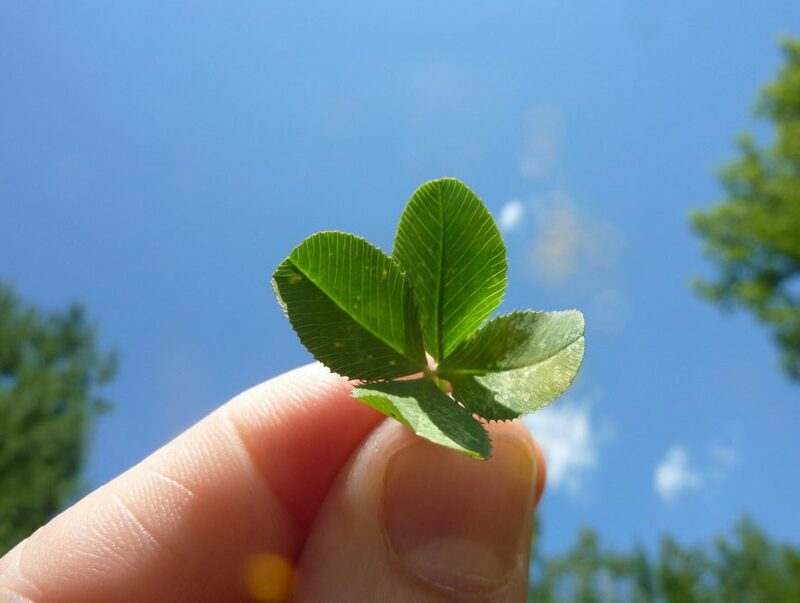 I want us all to believe that four-leaf clovers are out there just waiting to be discovered – waiting for us to start practicing believing and thinking that we can find them. What do I currently think and believe about (a situation, person, circumstance) ________________? How do my thoughts and beliefs about this circumstance make me feel______________________? What actions/words/deeds/inaction did I take as a result of this feeling _____________________? What are the results of those actions that I am experiencing in my life right now_______________?